Following on from the success of his previous movies (THE MOTHERTOWN and THE SLAYERS), British film director John Williams is back with another feature. 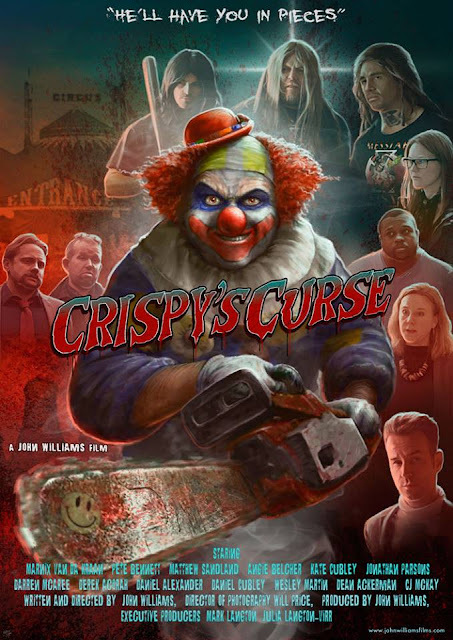 CRISPY'S CURSE is his third feature film to date and is currently looking to raise funds via Indiegogo to the sum of £8,000 to complete post production. Your donation will help complete the movie and you also get a few perks as well. The film is John Williams's love letter to the type of films he grew up with in the 1980's mixed with his own blend of comedy and horror. Starring former Big Brother winner turned actor Pete Bennett and T.V. spirit medium Derek Acorah of MOST HAUNTED fame. 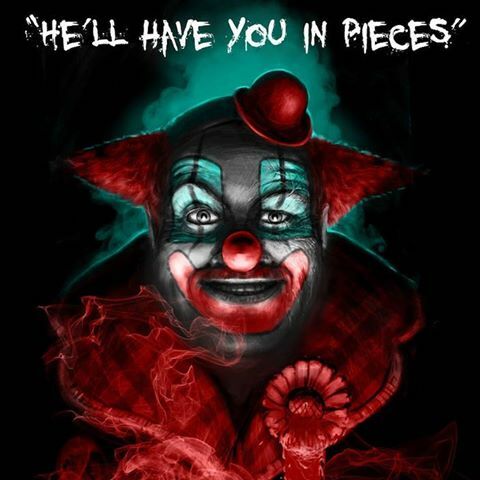 Below you can check out the poster designed by Matt Edwards and the films official trailer. Crispy, a maniacal killer clown, is firing up his chainsaw and killing again. Messiah Fist, a Christian heavy metal band, may be the only ones who can stop him with the help of some ghost hunters and psychics.